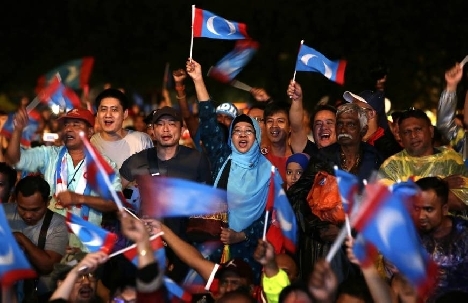 Until 2018, Malaysia's ruling National Front (Barisan Nasional or BN) coalition was one of the most durable authoritarian governments in the world. But this past May, a coalition of opposition parties won power, unseating the BN government for the first time in 61 years. This talk will examine the roots of this victory in the unique coalitional dynamics that allowed the BN to hold power  and for the opposition to win. Rather than building nationally appealing political parties, the opposition parties used coalitions to divide the electoral map based on territorially concentrated ethno-religious constituencies. But these appeals fell short; even at the height of successful coalition building in 2013  when a strong, unified opposition won the popular vote but fell far short of winning enough legislative seats to form the government. In 2018, a new coalition partner party, headed by former Prime Minister Mahathir Mohamad, supplemented the opposition coalition by narrowly (and effectively) targeting regime-held constituencies. Even in victory, then, the opposition-turned-ruling parties remained largely locked in to their niche constituencies, with implications for the new governments direction. Sebastian Dettman received his Ph.D. in Government from Cornell University this year. He researches party building, electoral competition, and political representation in newly democratic and authoritarian regimes, with a focus on Southeast Asia. He received an M.A. in Southeast Asian Studies from the University of Michigan, and his undergraduate degree from Pitzer College. He has also worked as a consultant and researcher for organizations including The Asia Foundation, the International Crisis Group, and the Carter Center.